When you’re a guy with the clout of Seth MacFarlane, sometimes you just get to have your way. Sometimes that means spinning Family Guy into an animation empire. Sometimes that means you get to reboot Cosmos and have it hosted by Neil deGrasse Tyson. And other times, I guess, that means you get to make the most expensive and unbalanced mishmash of a fan production of Star Trek ever conceived. Don’t get me wrong: I think MacFarlane is a versatile and often funny talent. (The guy has made mountains of cash for Fox and seems like he should be making Broadway musicals, although apparently he has no desire to.) But continuing to churn out Family Guy episodes — in what looks like a life sentence — is probably not the most personally rewarding thing after so many years. MacFarlane’s affection for Trek, particularly The Next Generation, would be clear to anyone who has watched his other shows or movies. (He’s sprinkled countless references into them, featured the cast members in voice and acting roles, and apparently has Patrick Stewart on speed dial for whatever MacFarlane happens to be working on.) Making his own Star Trek show was apparently the one thing he always wanted to do. 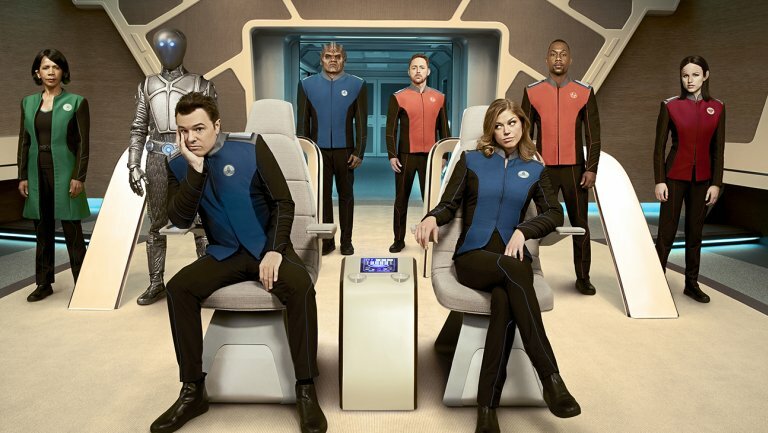 Well, he didn’t get to make Trek exactly, because CBS had its own thing it wanted to do (and, oh, by the way, it premieres in a couple weeks). But he has made a TNG clone called The Orville. I hope making it was everything he hoped it would be, because watching it is, well … not.